This position oversees a team of marketers to establish and achieve long term company goals and objectives for their portfolio of brands. The Portfolio Director’s primary duties include oversight of development and execution of marketing strategies, generating consumer demand, business / financial analytics, and project management while working closely with cross-functional internal teams to clearly communicate portfolio and brand objectives. To win in Delicato’s market segments, this role acts as a thought leader in Marketing, and across the organization, with the ability to foster, mentor, and direct brand teams and cross-functional support groups. This position will also drive the holistic brand strategy and innovation plan for the portfolio, while effectively and efficiently utilizing appropriate aspects of the marketing mix to achieve short- and long-term brand-building objectives and volume targets. Obtains and synthesizes data on the brand portfolio cross-functionally (Consumer & Strategic Insights, Finance, Sales, Production) to become brand and category subject matter expert within Delicato. Proactively identifies and anticipates emerging trends in the marketplace. 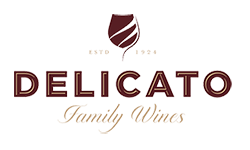 Works closely across Delicato departments to optimize forecasting, supplier management, wine/grape sourcing, and production based on marketing/sales plans and to ensure optimal supply. Required to talk & listen. May need to determine color, taste and smell of wine using eyes, tongue, and nose. Must be able to lift & carry cases of wine (35 lbs.) to build customer wine displays. May be exposed to weather-related temperature & humidity extremes. Operates keyboard & mouse.